Dittany bark (Baixianpi)-Dictamnus dasycarpus Turcz. Botanical Name: Dictamnus dasycarpus Turcz. Part Used & Method for Pharmaceutical Preparations: The roots are dug in spring or autumn. After the fibrous roots have been removed, the bark is peeled off, cut into slices and dried in the sun. Indications & Combinations: Boils and ulcers or itching of the skin. 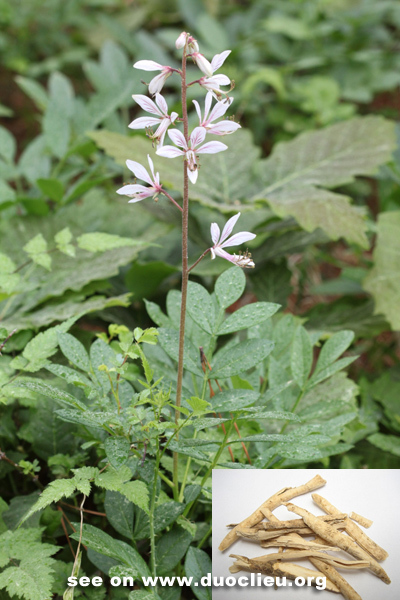 Dittany bark (Baixianpi) is used with Flavescent sophora root (Kushen), Phellodendron bark (Huangbai) and Atractylodes rhizome (Cangzhu).